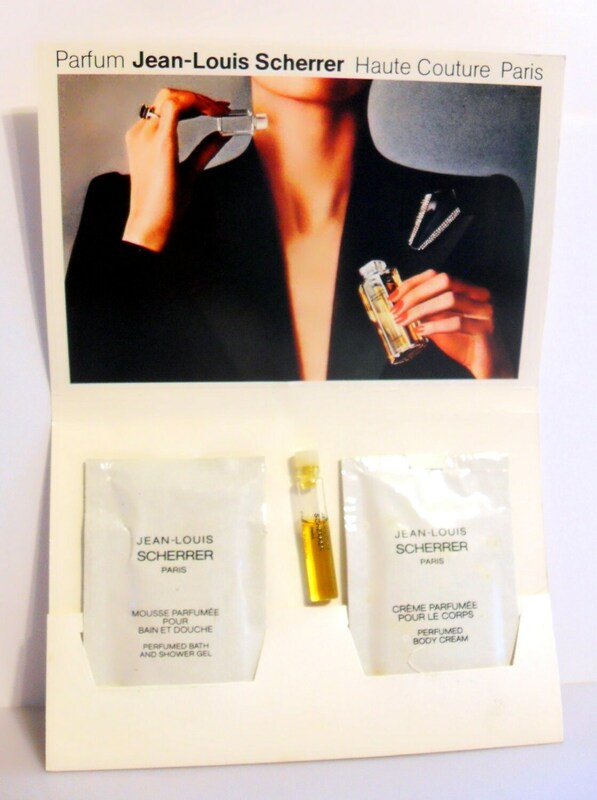 Vintage 1980s Jean-Louis Scherrer 1.5 ml Eau de Parfum Splash, 10 ml Perfumed Shower Gel and 10 ml Perfumed Body Cream Manufacturer's Sample on large promotional card. 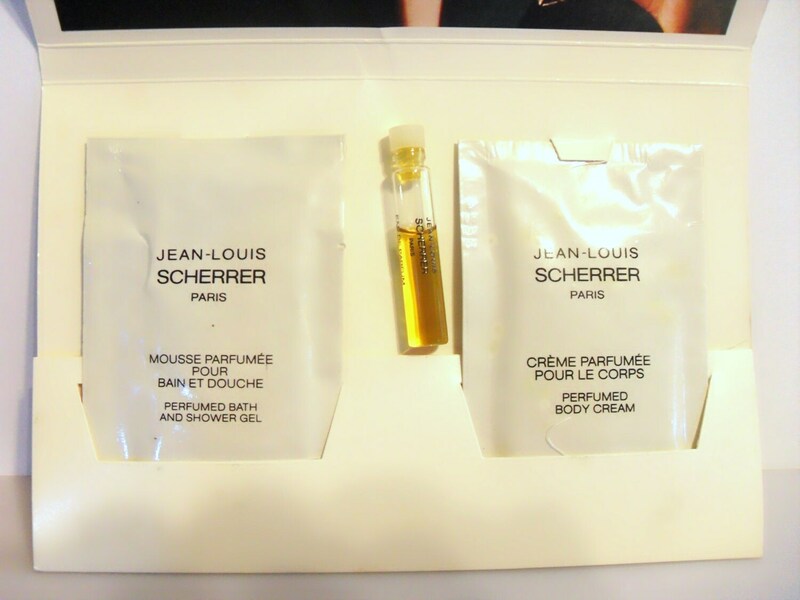 The body lotion and shower gel are in sealed foil packets, never used. The shower gel and body cream are old and no longer fresh as it once was. I have no way of knowing if they are still usable, so this is being sold as a collectible only. The EDP vial is only about 60% full - see photo for fill line. 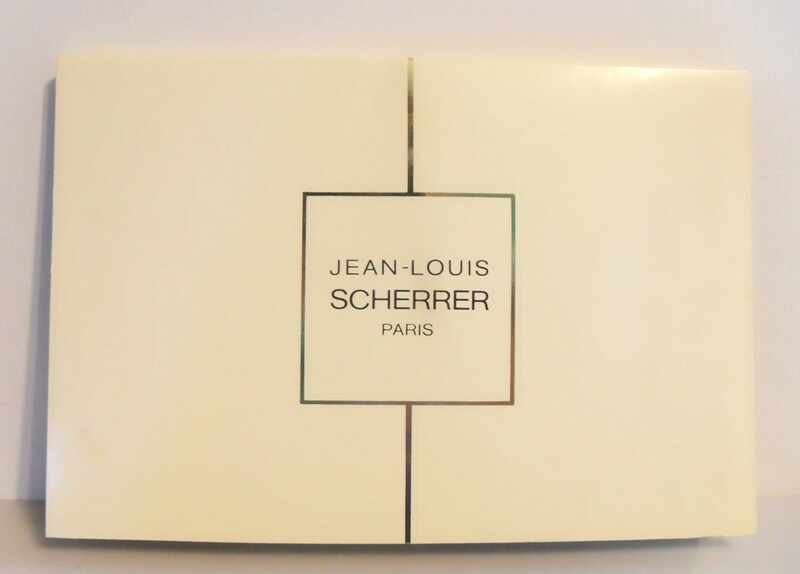 Jean-Louis Scherrer, also known as Scherrer I and simply as Scherrer, was launched in 1979. 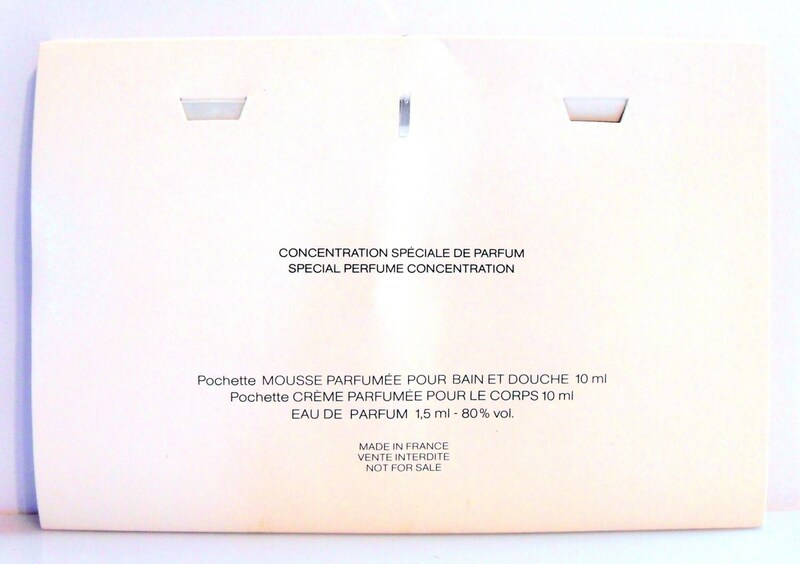 It is classified as a fresh fruity floral fragrance for women. It begins with a green, fruity top, followed by an exotic floral heart, resting on a sensual, powdery, woody base.